Saturday was overcast but dry and very warm as over twenty of our dinghy sailors headed across the harbour to compete in the Monkstown Bay Sailing Club ‘At Home’ regatta. The National 18 class were first off competing on a number of varied race courses set in the vicinity of Monkstown marina. 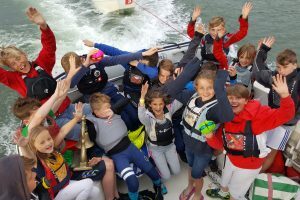 In addition, the mixed dinghy fleet which included an array of laser, pico, feva , 420, topper and topaz dinghies, sailed on the same courses. In tandem , the optimist class of twenty four boats competed on a separate course to the east of the larger dinghies and completed three great windward/leeward races. After racing , all sailors and their entourage returned to the Monkstown club house for a BBQ followed by a prize giving. Admiral John Roche dropped by to enjoy some of the atmosphere and the hospitality and many thanks to MBSC for a great day. A number of Royal Cork sailors had their names called out during prize giving. Rob Keal for winning the mixed dinghy class sailing his Topper , while Atlee Kohl and Sophie Crosbie were also well up there in second place sailing a 420. The optimist gold fleet saw Harry Pritchard and Patrick Bruen take 1st and 2nd respectively ( both MBSC and RCYC), while Dawson Kohl (RCYC) took third place. 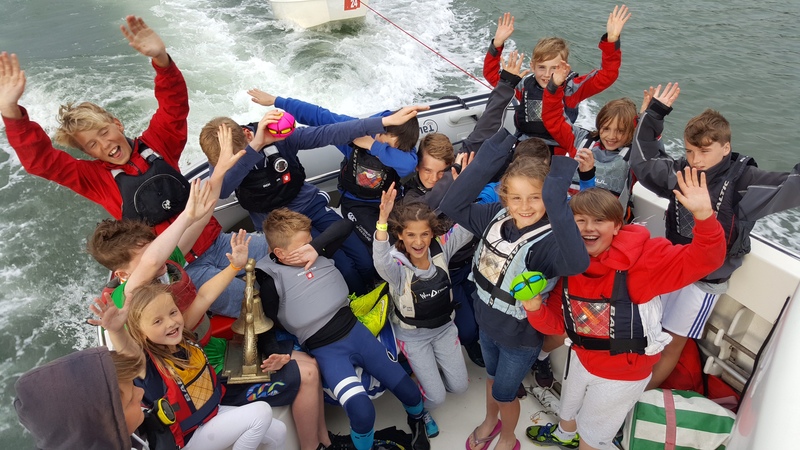 A number of our sailors also did very well in the silver , bronze and copper fleets …. Too many to mention here but well done to all.